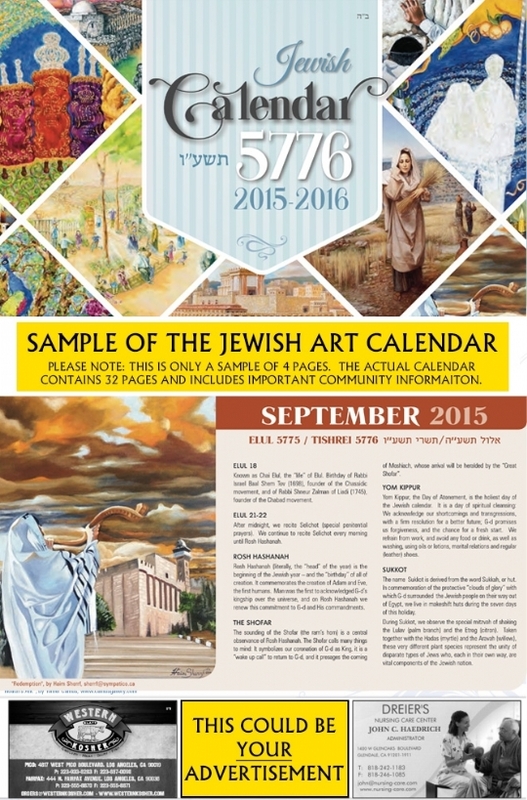 Unlike ads in the local newspaper which have a very short life-span, the colorful and informative Jewish Community Calendar will be viewed by potential customers the whole year round, thus providing maximum return for your dollar. Whether it’s scheduling business meetings, planning the week’s errands or checking Jewish holiday dates, more than 4,000 potential customers will see your business advertised in the Chabad Art Calendar, and will know of your dedication to supporting this community. 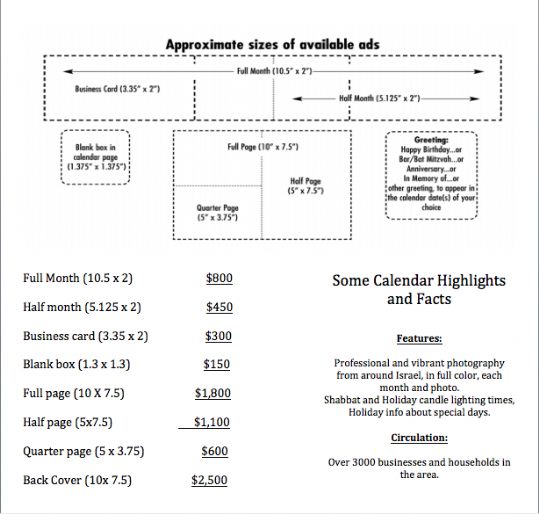 Not looking to advertise? Choose a special day in the calendar—your birthday, your anniversary, a Yahrzeit or milestone—and dedicate that day to someone’s memory. We’ve even created special dedication packages to help you make your mark on the upcoming year. Help us transform each day of the upcoming year into a special community occasion. Thank you for your support, and for partnering with us in building a brighter Jewish future. Please contact us for further advertising opportunities. 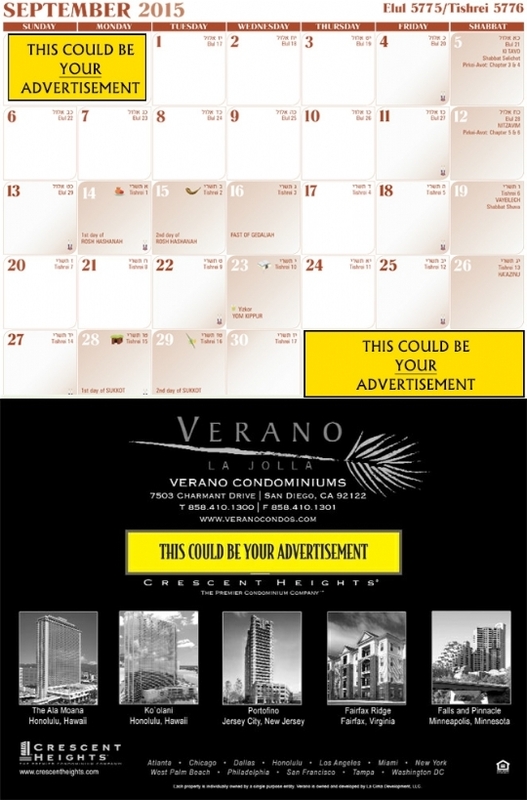 Click Here to be directed to the calendar ad form.